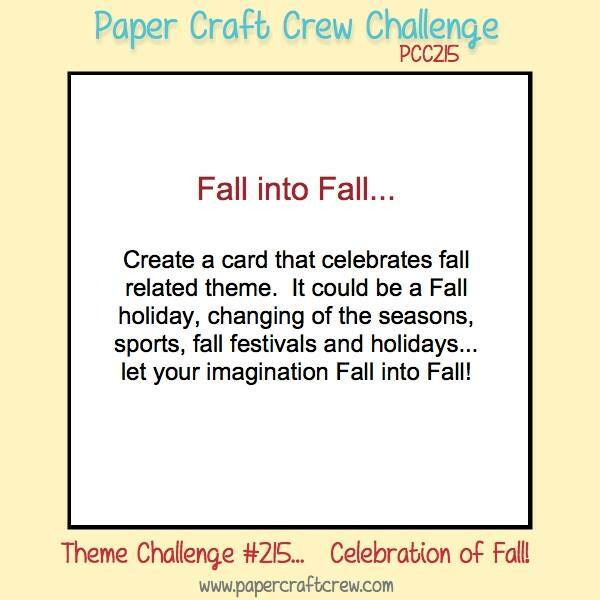 This week over at The Paper Craft Crew, we are having a fall card challenge. Any fall themed card works for the challenge!!! 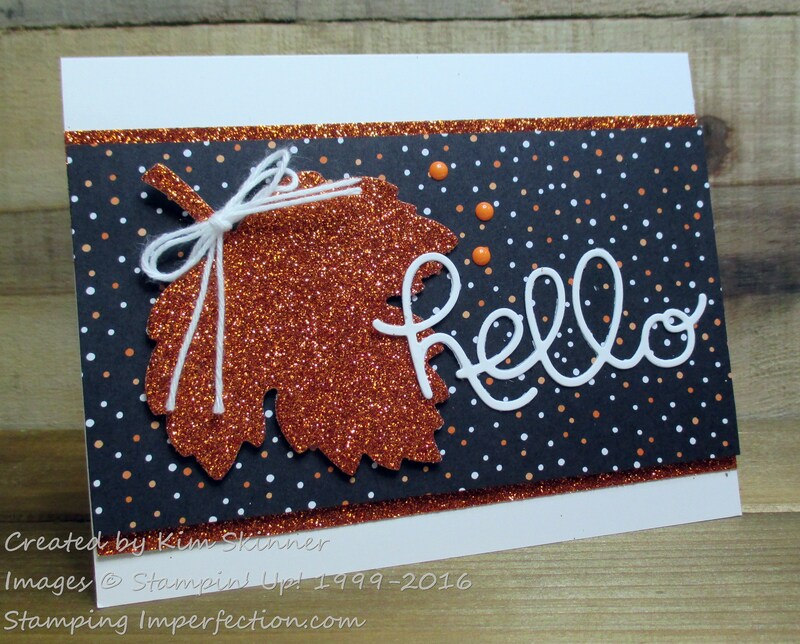 My goal with this card was to make a fall card using the scraps of papers sitting on my desk! I have little squares and rectangles of left over papers all over! I really love the Pumpkin Pie Glimmer Paper. This is a non-traditional fall card because I’m using the Halloween papers and colors. I consider the fall colors to be the regals and old olive. Nothing says fall to me like Cajun Craze, Crushed Curry, Old Olive, Rich Razzleberry or Elegant Eggplant, Cherry Cobbler and Night of Navy. Somehow I feel like the combination of the elements that I used created a clean and simple fall card. I love when a challenge lets me just play with a theme!!!! Stop by and check out what the rest of the design team created and give it a shot!! Take the challenge!